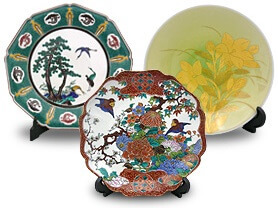 Kutani porcelain wares (known as Kutani-yaki in Japanese) are recognized as one of the most popular and well-known porcelain styles in the country. 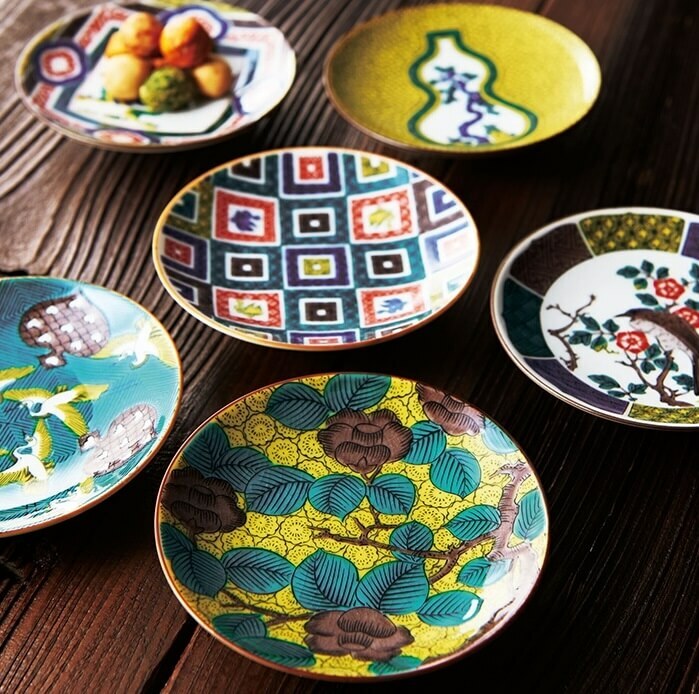 Crafted in and around Kaga city in Ishikawa prefecture, the brilliant colours and bold elegance of their patterns of Kutani porcelain is achieved through a traditional method of painting and overglazing known as uwaetsuke. 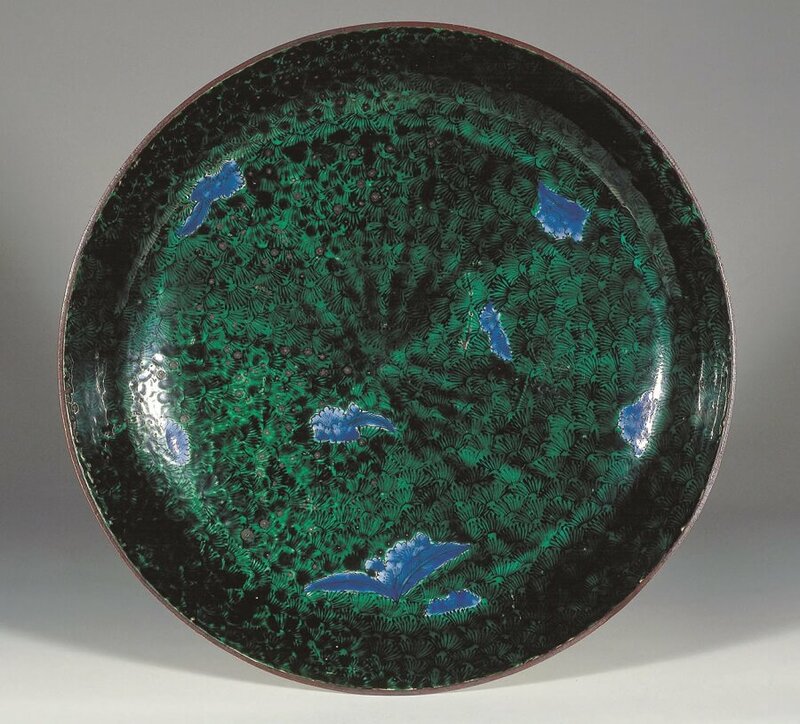 The striking pigments of the Kutani-style porcelain set them apart from other Japanese pottery traditions, making the Kutani wares exemplary of the unique local history and tradition from which they are born. Today, Kutani porcelain wares are included by the Imperial Household Agency as cultural gifts of high esteem to foreign dignitaries and officials. Prince Charles of the United Kingdom is one recipient of Kutani wares from the imperial household. 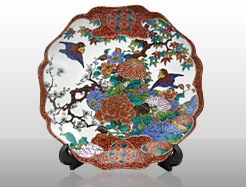 As others have received their impressive pieces, a love and appreciation for the beauty and unique, Japanese aesthetic of Kutani porcelain has spread widely. 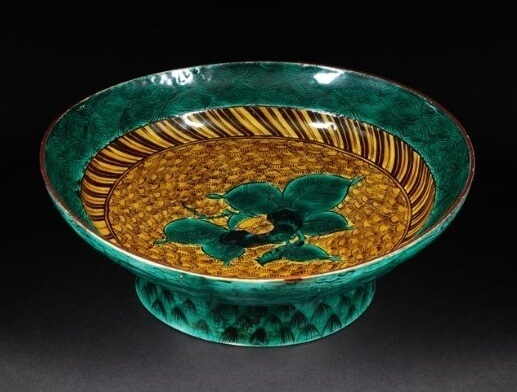 Learn More about These Porcelains at the Kutani-yaki Art Museum! The most impressive and unique aspect of Kutani porcelain is the uwaetsuke overglazing method through which artisans apply their beautiful designs. This specific overglazing method, unique to Kutani wares, involves the application of its colourful design after baking in the kiln. The piece is then returned to the fires as a final step, protecting the colourful design carefully applied by the skilled artisans. Utilizing five traditional gosai-de colours, this aesthetic is known to as the Kutani-gosai or ‘five Kutani colours’ in a testament to the respect and admiration these wares have garnered. 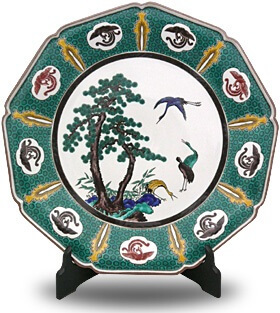 Reds, yellows, greens, purples, and deep blues, these bold and picturesque designs produce the harmonious imagery for which Kutani porcelain are famous. For all their widespread fame and appreciation, the fact that many Kutani porcelains remain affordable and available for everyday use is yet another feature of these wares. 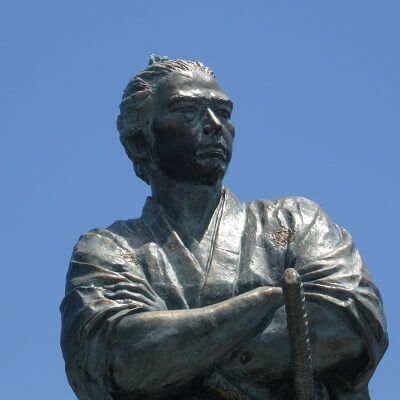 Starting in the first year of the Meireki era (Edo period, 1655 AD) and under order of the Kaga domain, Gotou Saijiro lit the now historic Kutani kilns for the first time. For fifty years Gotou’s wares were bought and sold with high regard until the porcelain master suddenly extinguished his fires, closing the first chapter of Kutani-yaki history. The reason behind Gotou’s quiet disappearance from history’s great stage remains unknown. 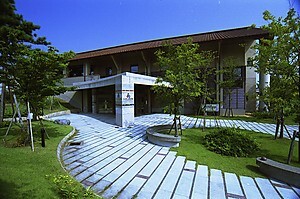 At any rate, works produced during those fifty years were thereafter known as ko-Kutani (‘ancient’ or ‘antique Kutani’). For their rarity, as for their beauty, these wares are highly valued. Regularly, an appreciation for porcelain ware is derived from their shape and glazed enamel. What antique Kutani wares established for this now famous lineage of traditional porcelain was the importance of their decorative paint. 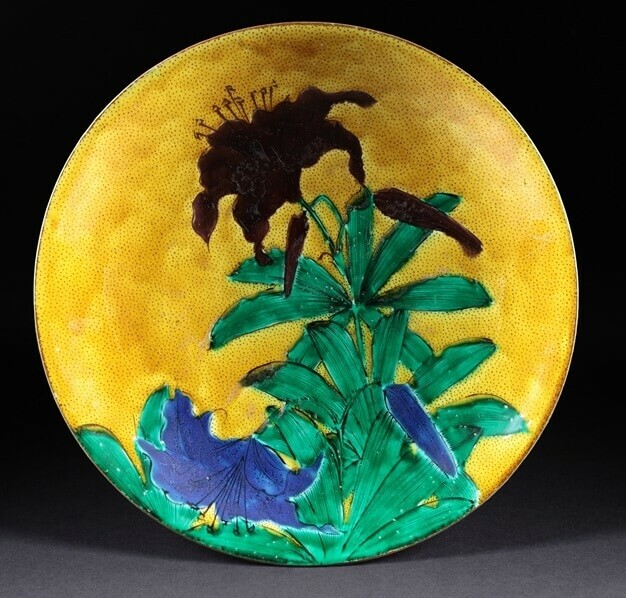 Antique ko-Kutani wares awed audiences and garnered appreciation with their bold imagery: depictions of beauty which, at the time, were unprecedented in style. 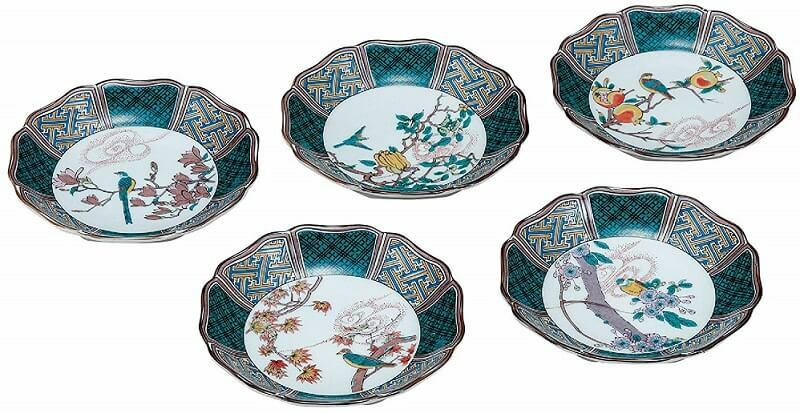 Allow me to introduce a select number of these antique Kutani porcelain wares. 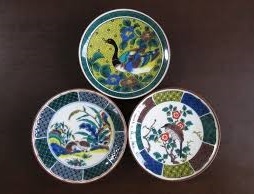 Though Gotou Saijiro extinguished his kilns after just fifty years, the beauty and reputation of the original Kutani wares stirred a desire amongst skilled artisans to produce again porcelain of such quality. When workshops were reopened some 100 years later (around 1806), their pieces became known as saiko-Kutani – or, revival Kutani ware. 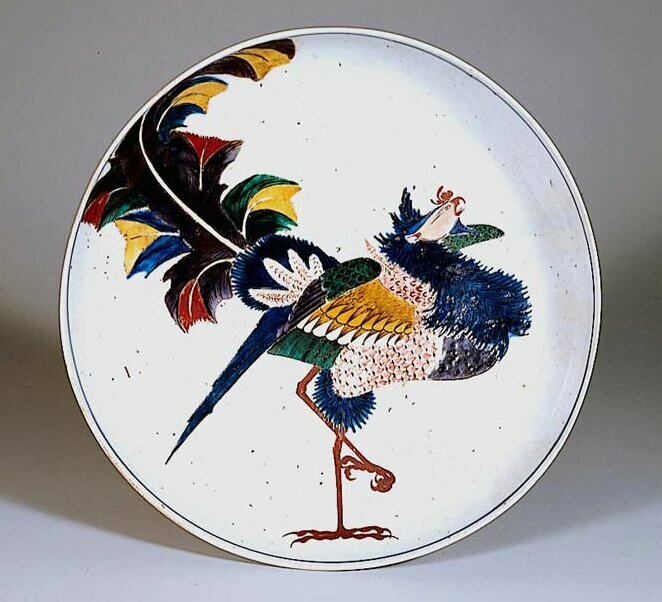 It is these revival Kutani porcelain wares which have made the kilns and craftsmanship of this traditional, historic art part of a widely respected and valued tradition. From a disappearance shrouded in mystery, to an energetic and lasting revival eclipsing all prediction, Kutani porcelains continue to impress those who lay eyes on their beauty. 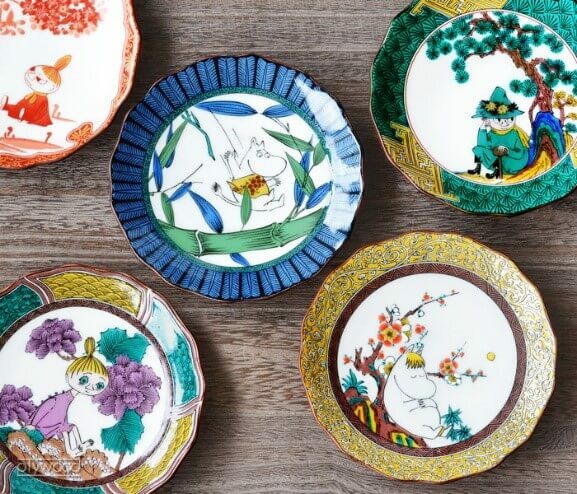 Those who wish to learn more about this legacy are invited to check out the Kutani-yaki Art Museum in Kaga city, Ishikawa prefecture – the very spot where Kutani porcelain was born.